« What Exactly Are @NEC_Display_EU Up To? 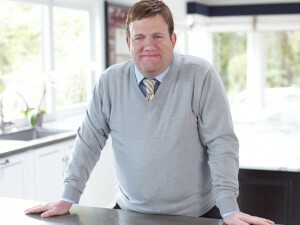 The Digital Place Based Advertising Association (DPAA) has announced that renowned pollster and brand messaging expert Dr. Frank Luntz will be a featured speaker at the association’s 2016 #VideoEverywhereSummit. The 9th annual gathering of more than 700 delegates representing brands, agencies, digital place-based networks, ad tech, mobile/location companies, data firms and others from the full spectrum of multi-screen advertising will be held at the iconic Roosevelt Hotel in New York on October 27 as part of New York Digital Signage Week. The historic Roosevelt Hotel, known as ‘The Grand Dame of Madison Avenue’ is the official hotel for New York Digital Signage Week. Attendees to the Video Everywhere Summit or any other of the week’s events are eligible for preferred hotel rates. These rates and all Summit information can be accessed here. This entry was posted on Sunday, October 9th, 2016 at 12:57 @581 and is filed under DailyDOOH Update. You can follow any responses to this entry through the RSS 2.0 feed. You can leave a response, or trackback from your own site.